In 2009 New York's Urban Centre presented an exhibition based on the libraries of some of the city's architects and, appropriately Unpacking my library was accompanied by a book of the same name. It was such a good idea and worthy of imitation. 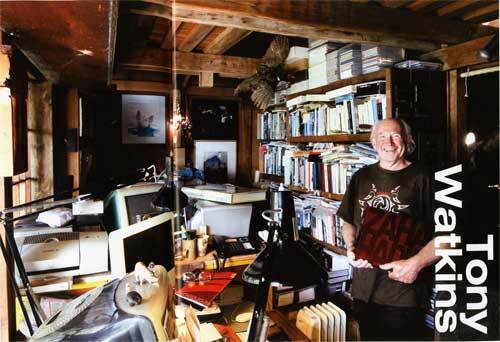 One of the seven New Zealand architects was Tony Watkins. Everybody’s got to have a library. It depends on how you define what a library is, and I’d suggest it can extend over many homes. I don’t believe in borrowing or loaning books. They joy of this is that I know who owns which book, so I can go around, visit them and read it. I started collecting books when I was very young. It’s interesting to look back on your children’s books because only adults can understand them. Like Lewis Carroll. Any good book you should be able to re-read and see different things every time. It’s like a great work of art. You should see something new every morning. My shelving is absolutely chaotic. There are one or two things that are organised, in the sense that I’ve got, say, my New Zealand books grouped together. But as for classification, it’s very random. There are plots and sub-plots in the way it works. Some sections occur together, like my books on vernacular architecture – but that’s because I do a lot of lecturing at home so I’ll need books to share with students. My collection is as wide as life itself, though I obviously have a bias toward architecture. I probably have the best selection of books from Japan on sustainability, but that’s because I was involved in the early publication of many of them, so people from Japan give me those books. The Japanese rural house is a particular love of mine. I’ve read a lot over the last year or so as I had a hip replacement and was immobilised. It gives you a good excuse to sit in the sun with a good book – which I normally can’t justify. I normally read non-fiction. That’s not necessarily what I’d aim to do, but I think it would be fair to say that any architect has a huge amount of professional reading to do to keep abreast of his field. I suppose I also prefer the real world… it’s so much more unbelievable than the unreal world. For architects the real world is pretty unreal – we have dreams, visions. People with mediocre lives need to escape into fiction, but architects usually don’t. In other words I think architecture is a really exciting life. 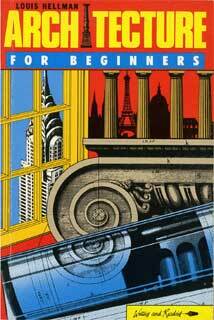 Architecture for beginners, Louis Hellman, Unwin Paperbacks, London 1986. It seems that everyone is now so busy making money that they are not having fun any more. Architecture should be fun. In this book architects take a wry look at themselves and invite everyone else to join in. Hellman is one of the world’s greatest cartoonists. For me there is also a personal connection. When New Zealand was leading the world in relation to environmental issues Hellman did a cartoon about me for the British press, with an NZIA kiwi poking at a sleeping RIBA British lion. I wrote to him and asked if I could buy the original. It arrived in the mail with his compliments. My dream is that one day all of Malcolm Walker’s wonderful cartoons will be gathered together in a book. This is the only book on sustainability that any architect needs. 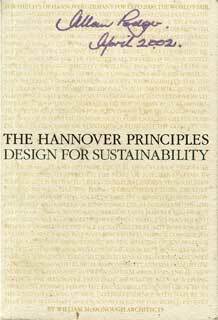 It was written as a brief for the 2000 Hannover Expo, but it should be a brief for all architecture. There is not a single photograph in the whole book, so that architects are encouraged to read. The Expo buildings challenged the myth of that time that being green implied second-rate design. With so much nonsense being written about sustainability this is a book you need to reread from time to time to stop yourself going insane. It could be simply adopted as NZIA Policy. 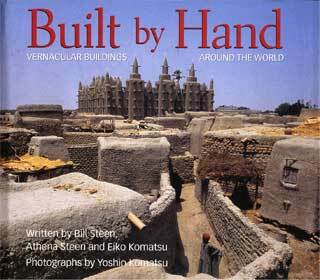 Built by hand, Vernacular buildings around the world, Bill Steen, Athena Steen and Eiko Komatsu, photographs by Yoshi Komatsu, published by Gibbs Smith, Salt Lake City 2003. The quality of vernacular architecture never ceases to amaze me. Typical architectural books somehow manage to make most architecture look like most other architecture, in the the same way that most architecture manages to make exciting, astonishing, unique places look like nowhere in particular. This book illustrates the diversity, complexity and beauty of buildings which are specific to place and culture. It is an essential antidote to the dull monotony of a construction industry serving only mammon and materialism. It is important to remember that this is a book about people doing it for themselves. If we gave people a chance they could save the world. 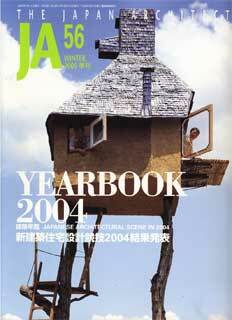 The Japan Architect Yearbook 2004, Shinkenchiku-sha Co. Ltd, Tokyo 2005. It is the politics of this book which I admire and enjoy. You would have expected some exotic conferenence centre or university building costing millions to be on the cover. Instead there is a quirky, eccentric, humane tea house which must have terrified every OSH inspector and every building inspector in Japan. The book is a plea for building which is within everyone’s ability. Courage and a wonderful sense of appropriate design are more important than a handsome budget. When New Zealand Architectural Awards seem to offer only tired, dull, expensive buildings, which all end up looking like each other, this book offers hope. 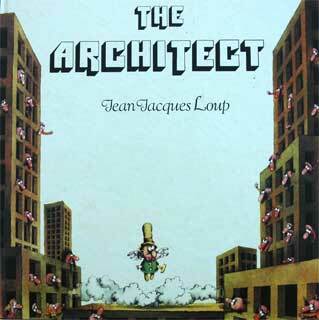 The Architect, Jean Jaques Loup, Jonathan Cape, London 1977. One of the great characteristics of architects is that they really believe they are saving the world. It is a characteristic which hides the reality from them that they are actually doing enormous harm to the planet. This book takes us inside the mind of an architect and attempts to explain why the NZIA supports a Building Act and a building industry which are determined to stamp out not only “owner-building” but also the whole of the New Zealand building tradition. As with so many humorous books the barb is deadly and it hits its mark with great accuracy. Left to their own resources people can achieve the most amazing things and along the way create incredibly beautiful environments. The concentration of power is one of the greatest problems facing the world today. This book is a plea for the distribution of power. Democratic architecture will of course, in its turn, need democratic architects.